If you have decided to sell your Dallas – Fort Worth area home, it’s always a great idea to have a plan in place. Prepping your home prior to selling is especially necessary if you want to get top dollar. *NOTE: These instructions are for homeowners who want full retail value for their house. If you don’t have the money, time or desire to make needed changes, you can still sell your Dallas Fort Worth house fast (and for a fair value). 1) Clean, clean and clean. Nothing turns buyers off more than the thought of paying hard-earned money to inherit someone else’s mess! Clean the vents, baseboards, toilets, carpet, you name it. Buyers notice the smallest infractions and even vacant houses get dusty and dirty over time. Nothing short of gleaming perfection will impress buyers. 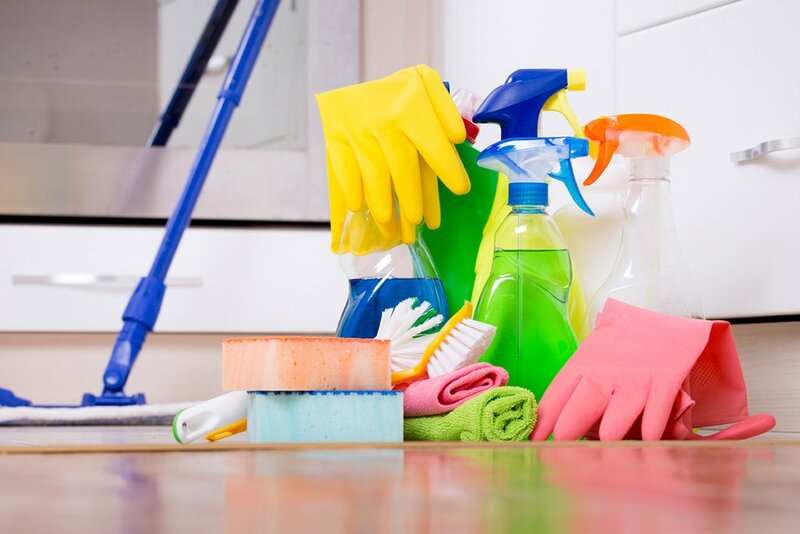 If you’re not a total clean freak, hire a cleaning service for a pre-listing scrub down. You can also hire the cleaning service to come back out periodically, depending on how long your home stays on the market. 2) Keep decor and furnishings neutral. Neutral paint colors and modest decor help buyers imagine themselves living in the home. You don’t have to paint everything off-white, but subtle colors can really help the space feel open, clean, and bright. If you choose to paint the interior of exterior of your home yourself, make sure to do a good job. Buyers will quickly notice paint stains on carpet, messy trim jobs, clumpy window seals, etc. Typically if a buyer sees these cosmetic flaws they’ll attempt to negotiate the sale price down to cover repairs. It would be a shame to pay for all of that paint and still have to come off your home’s listing price in the end! Spend the money to get high-quality paint and consider hiring professional help. Subconsciously people will pay more money for a property with just the right colors and very neat lines – it makes the home feel better built, even though it’s just paint. 3) Fix or replace anything that’s broken. After you have found a buyer, they will schedule a home inspection to identify items that are broken or fail to meet code requirements. While it may seem like a waste of money to replace a broken dishwasher, it’s better to tackle these items before listing your home for sale. Many sellers find it beneficial to hire a home inspector for a pre-listing home inspection. The reason being, you will mostly likely pay more in the end if you try to hide neglected maintenance from the purchaser. Also, many buyers will get a home inspection and use the opportunity to negotiate with you. Prospective buyers love to see an independent report on the condition of the house – it makes them feel very comfortable with the purchase. 4) Make only necessary improvements. 5) Consider getting a cash offer. We buy houses all over the Dallas Fort Worth area, and we take care of everything so you don’t have to deal with any of this stuff. Don’t want to prep your Dallas Fort Worth home but still want top dollar? While everyone wants to get as much as they possibly can from the sale of their house, not everyone has the resources to do what is required to prepare their home for listing on the MLS. The fact is, these items take time and money. If you have the funds…AND you don’t mind spur of the moment showings, then listing with a real estate agent is probably the best financial choice. If you don’t have the funds… AND can’t wait however long it takes to sell your house, then you may be a perfect fit for our local Dallas Fort Worth house buying service. You’ll submit basic info about your house here on our website, we’ll give you a call to gather a few more details, and then we can make a fair all-cash offer.